March 29, 2017 is a day that will live in infamy. It marks the final day “Club Penguin” unparalleled run as the world’s preeminent penguin-themed massively multiplayer online game. “Club Penguin” has blessed the earth with its magnificent penguin population and virtual utopia for more than 10 years. Users could venture through the arctic tundra, meeting millions of like-minded users. For many, “Club Penguin” was more than a game: It was a lifestyle. Since 2005, millions of communities were founded, friends were made and lives were changed. In an effort to pay homage to what has been heralded as the greatest video game and online community of all time, I am diving deep into the technology behind it. These tools were the DNA that, when combined, created breathtaking landscapes and beautiful, delicate penguins. Shockwave Files (.swf) have been around for longer than two decades now and are actually being slowly phased out out of modern browsers and search engines. The tool can be used for a variety of media, and has been the basis for developing games from Angry Birds to Clash of Clans. Apache is actually the most widely-used web server in the world. Last year, it hosted nearly half-of the top 1 million websites in existence. The open-source tool simply allows developers to connect their code and data with those accessing their site. Akamai is one of the largest content delivery network (CDN) software solutions in the world. The tool allowed Club Penguin to host image, video, audio and other files and display them throughout the website for users to see. Drupal, an open-source content management software, provides the back-end framework for Club Penguin. It helps store and organize data like account information, RSS feeds and many forms of user-generated content. Kaltura is essentially a cloud platform as a service (PaaS), but geared specifically towards video. This tool can provide a more streamlined and reliable video hosting platform than many multi-faceted content delivery networks. Alas, there is a glimmer of hope. “Club Penguin Island” is on the horizon. Perhaps this futuristic, 3D revival of the “Club Penguin” award-winning universe will cure the sadness of many downtrodden #ClubPenguin players. I'll miss you club penguin. 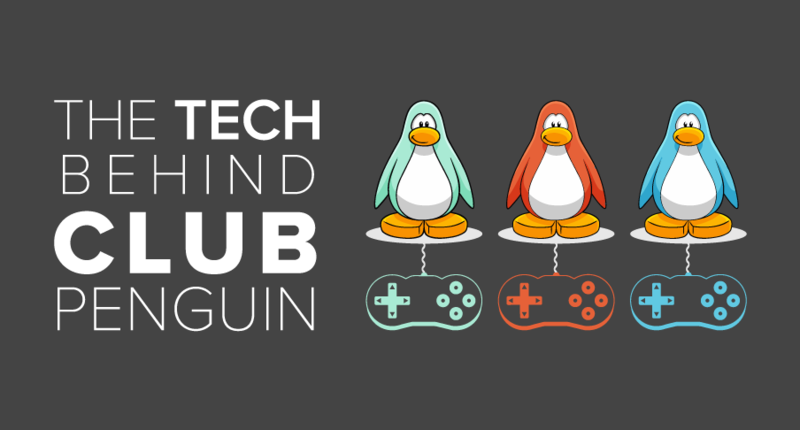 Here are some of the technologies used to create “Club Penguin Island.” While the original game was played exclusively on desktop, “Island” is a cross-platform game with a major mobile push. Google App Engine is a true cloud PaaS software solution that has been around for nearly a decade. Applications are sandboxed, or securely stored, and run across multiple servers. This will allow Club Penguin Island to scale rapidly as new users join the game and diminish the need for additional back-end development to free up or adjust storage abilities. Axure is a wireframing software tool used by a wide variety of designers and developers to create preliminary models for interfaces. Before beginning development, designers can decide where objects should live on pages, connections between pages and other general game mapping. Since Club Penguin Island lives in a 3D universe, unlike its predecessor, Maya will provide a 3D modeling environment for designing penguins, landscapes and other components of the game. These designs will eventually become fine-tuned and utilized during gameplay. These tools are used to create vector images. They are both scalable and crisp to provide near-perfect resolution on any device. Designers will use these to create visual components of the game and mock up the user interface. Unity is the game engine software powering Club Penguin Island, powering physics, chemistry, interactions and just about anything that happens in the game. Game engines provide the framework for games themselves, supplying rendering tools, textures, sound input, graphics and most interactive components. Unity is widely used and has provided the frameworks for major games from Temple Run to Pokemon Go. It remains to be seen how Club Penguin Island will resonate with long-standing Club Penguin fans. But based on the technology used to create the game, it will surely be more lifelike and interactive. Minigames, within the main game, will have superior graphics and functionality, and the overall game flow will likely be smoother based on Google’s scalable cloud platform. If you’re curious to learn more about Unity visit Unity’s product page and to learn more about other tools used to build popular video games, visit our Game Engine Software category page.